Ok, you want a practical example of a "Transformational" customer? DirecTV has a "Refer a Friend" campaign ... you refer a friend to DirecTV, and everybody wins. You earn $100 in credits. Your friend earns $100 in credits. DirectTV can anticipate about $2,000 in revenue in the next two years. This is a "Transformational" customer ... the customer is doing the work for you. Now, it's entirely possible that this customer has a standard definition receiver (non-DVR, non-HD), making this customer highly "Traditional" ... so you have to weight activities, and you have to predict which activity is more likely to happen in the future. But it isn't rocket science, is it? In the catalog world, how many customers are doing customer acquisition work for you? This is the whole secret to some of that Social Commerce stuff, right? Prospects can only join if an existing member invites the prospect to join. Viral aspects are literally built right into the essence of "the brand" ... you see this all of the time in the gaming world. "Traditionals" are bought ... you go to your co-op and you pay $0.06 each for the right to mail a very "Traditional" customer ... and then you're not surprised when you acquire a 61 year old rural shopper via the telephone channel. "Transformationals" may be bought, but it's a very different "game" if you will. A "Transformational" customer signs up, earns rewards, and willingly recruits customers. And here's the problem, folks ... it is really hard to "mix and match". You can't expect your marketing strategies to "go viral" when your customer base is loaded with "Traditionals". And you can't expect a "Transformational" customer to embrace a catalog. You have to seed your customer file with a ton of "Transitionals" to have a chance at making both old-school and modern marketing work, and that's tough sledding because "Transitionals" are moving ever so slowly toward "Transformational" status. Traditionals (old-school marketing), Transitionals (online-focused), and Transformationals (mobile/social/viral) all can benefit from the content provided by Mary Meeker (Click Here). Here are the slides, if you're so inclined: (Click Here For The Slide Deck). Think about some of the insights in the presentation. Page 18 = 60% of Pandora traffic is mobile. This is what I'm talking about when I talk about "Transformationals" ... if your customer is "Transformational", then mobile and social must be built-in to the fabric of your brand. Now, if you're "Cuddledown of Maine", well, it's a whole different ball game, isn't it? That mobile/ Transformational customer, even if you had a wonderful mobile experience, isn't likely to buy your merchandise. The Cuddledown of Maine brand, as a result, focuses on profit from Traditional customers today, focuses on the Transitional customer for future profit, and simply watches as the mobile/social world evolves. Page 26 = Jambox. What the heck is a Jambox? I bought one ... I read this slide, I went to Amazon and reviewed the item and read user-generated comments and bought one with free, two-day shipping. This is a "Transitional" customer experience, isn't it? Jambox didn't rent 1.2 million names from a co-op, they produced merchandise that caused somebody to want to share information about it, and Jambox gets a low-cost (hint, free) new customer out of it. This is such an important trend for businesses that deal with a Transitional customer ... Transformational businesses excel at getting low cost / free newbies. Traditional businesses, however, cannot fathom this ... it's all about how to pay a reasonable rate for access to names. Page 30 = Look at the curve. You'll say, "no, that looks like a straight line". Well, you could easily fit a power function to that, and if you did that, you'd come to the conclusion that e-commerce, as a percentage of total retail, is going to flatten out. Think of the ramifications of each outcome ... continued linear growth takes you down one path, the end of unfettered growth means quite another thing, doesn't it? Page 31 = Target generates $1.5 billion in mobile sales. 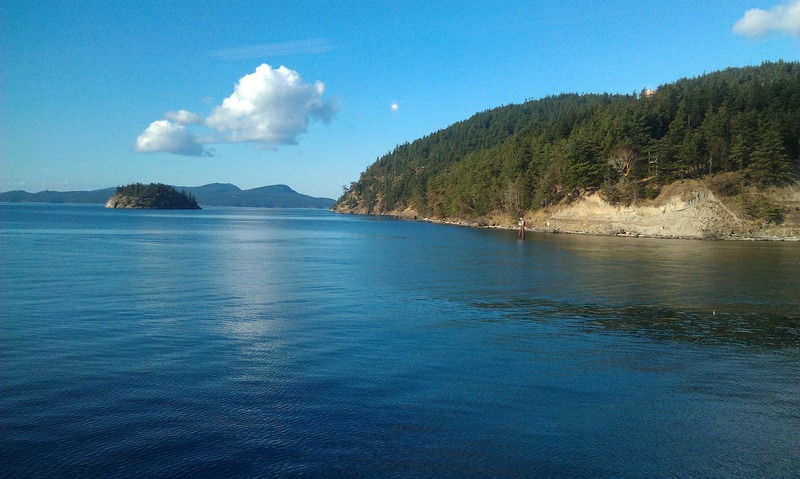 One stops and thinks "WOW". Of course, Target will generate $67 billion in total net sales this year, and sales will increase at a normal rate, so that tells you that this is all about cannibalization of existing channels. And then, if the sales are from an iPad while the customer sits on the couch, well, that's not even mobile, is it? Do you track laptop sales? Why would you, right? But mobile folks are going to take credit for iPad purchases ... a simple evolution of e-commerce. This will be an issue in the future, because tablet activity is not going to be mobile, and it isn't going to be e-commerce, it's going to be a new genre that, in my opinion, we cannot yet fathom but when it appears, we'll say "DUH". Page 34 = Local commerce. Well, local commerce has been around since the days of the Old Testament, right? What you're seeing here is Local Commerce 0.1, not 2.0, right? Page 36 = Print advertising disconnect. There's a reason print spend outpaces mind share ... it works! Online advocates don't get this because they don't focus on Traditionals as a customer segment. Page 39 = Time spent on social ... just 'cause time is spent there doesn't mean share of wallet will be there. Page 61 = US Government Profit and Loss Statement. Oh boy. OH BOY. If this was your business, what would you do? How much longer would you be in business? Ignore politics, just review this like it was your profit and loss statement. How would you fix this? Does any of this make sense to you? We have three broadly classified customers. If your business caters to Transformationals, then yes, catalogs are dead, heck, email is dead, too. If your business caters to Traditionals, then catalogs mean everything, and you mock the social world because your business was only able to get 197 followers via Twitter. And both sides are right. It simply depends on your business, your target customer, and how you approach having a relationship with the target customer. Of course you remember the steroid problem in Major League Baseball. This past year, two hitters bopped more than 40 home runs. Two. Ten years ago, folks were bopping 60 homers, setting records with 73 home runs. You kinda knew something was amiss "back in the day". It was entertaining to watch swollen hitters launch missiles into the stratosphere, a sports-based shock and awe campaign if there ever was one. But in your heart, you knew that something was wrong. Fast forward to November 27, 2011. Yes, it's time for what has become a time-honored tradition called "Cyber Monday". Chief Marketing Officers from near and far are "forced" to dream up scintillating offers that tickle the buying bone of "today's savvy, price-driven, in-charge social-consumer". Simply put, you can't let your competitor offer 25% off plus free shipping, you have to "compete", right? So you "compete", you offer 30% off plus free shipping. Your brand and all that surrounds it is baseball. 30% off plus free shipping, for no other reason than to chase sales and "stay competitive" ... well, that's steroids. We learned that steroids have side effects. 30% off plus free shipping has side effects, as well. How many of your Cyber Monday customers are first-time buyers that you would not otherwise have acquired? What is the lifetime value of a discount-based customer acquired on Cyber Monday, vs. a full-price customer acquired the day after Cyber Monday? Of the existing customers who purchased on Cyber Monday, how many were previously full-price customers? What happens to the lifetime value of a full-price customer who purchases because of an email campaign offering deep discounts on Cyber Monday? Of all sales generated on Cyber Monday, what percentage were time-shifted from before/after Cyber Monday into Cyber Monday? For the past six years, run a profit and loss statement for the time period of November 1 through Cyber Monday. Are there any changes in customer spend and customer profitability in this timeframe, over the past six years? If there aren't fundamental changes in sales and profitability, then debate what impact Cyber Monday truly has on your business. Steroids have their place. If you've ever had a sinus infection, you appreciate what steroids can do for you. Save your 30% off plus free shipping promotions for the times when you truly need them. The three T's (Traditionals, Transitionals, and Transformationals) help us understand how (or if) our business is evolving and changing. Here's an example. A business leader suggests that a customer shift from traditional channels to the web is costing him business. Well, there may be truth to that, but at least we can measure how customers are truly migrating. We'll run a query, watching how customers in the 3Ts migrate (Traditional = Mail/Phone, Transitionals = Web/Email/Search/Affiliates/Banners, Transformationals = Mobile/Social). Ok, there's a few things we have to digest here. Between last year and this year, customer counts across all segments are in decline. 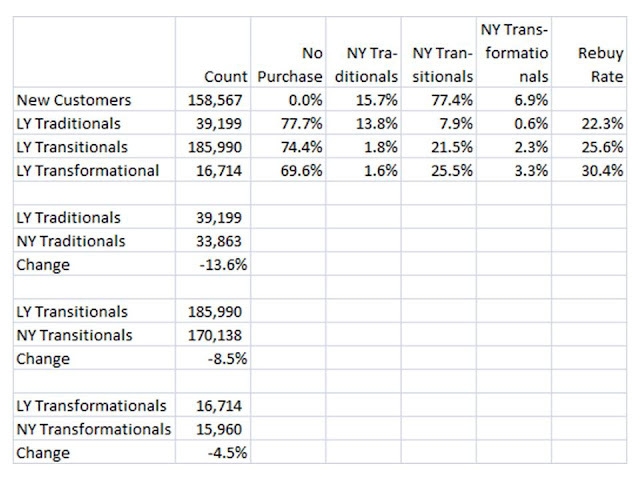 Transitionals (primarily the online channel) actually repurchase at a higher rate than Traditionals. 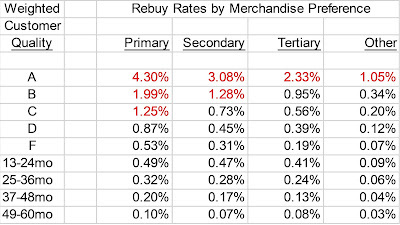 Traditionals are not migrating to Transitionals at high rates, and if they were, the data suggests that this would be a good thing, because repurchase rates actually increase. 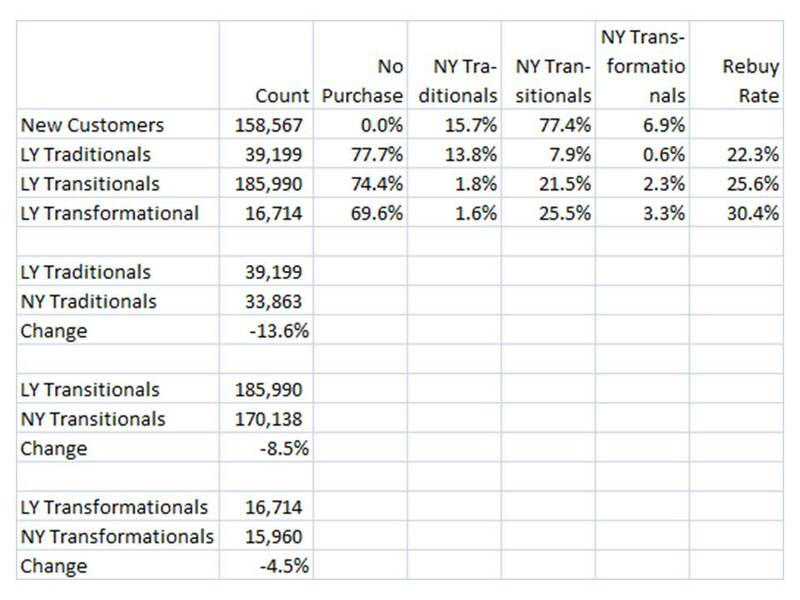 Transitionals are not migrating at high rates to Transformationals. In other words, new channels are not capturing customer mindshare. Even when this brand generates Transformational purchases, these customers head back to the Transitional segment, suggesting that the experience in the Transformational realm isn't satisfactory. Customers who purchase in the Transformational realm have the highest repurchase rates, suggesting that if this brand can get customers to "stick" there, there is opportunity for heightened customer loyalty. This is a business where customers have largely migrated from Traditional to Transitional status. Unfortunately, customers are not taking the next step, as those who migrate from Transitional to Transformational status go back to Transitional status. Here's a friendly reminder from one (me) who analyzes customer files with twenty years of purchase history. Sales growth in Presidential Election years is unstable, and, on average, tends to under-perform non-election years, especially in the months around the election. Go look at your own historical data ... how did customers perform vs. your lofty plans? Now toss in the decimation of the EU, high unemployment, tea party and #ows movements, a chronic low-growth environment, crippling local, state, and federal debt. You have the recipe for mega-instability in 2012, from an e-commerce standpoint. Be wise. Be conservative in your planning for 2012. Be ready to react to what may well be a bumpy ride next summer/fall. Here's another issue we frequently hear about. "We have a nice mobile website, really nice. Nobody is using it. We all heard that eBay generates billions with their mobile website, but our customers couldn't care less. We're generating something like 1% of our sales via the mobile website. I am tired of the hype." Maybe we were all spoiled by e-commerce. Fourteen years ago, e-commerce truly did "change everything". Honestly, it was a once-a-generation event, blowing up traditional direct marketing. Since then, each new channel changes things, but not to the level that e-commerce did. E-commerce changed "commerce". Search changed elements of commerce among a subset of customers. Social Media ... well, it changes how we interact with each other, but it doesn't necessarily change how we shop unless we want for it to change how we shop. Mobile changes how we interact with each other, it changes how we interact with the internet ... but it only changes commerce for a small subset of customers who have a specific need at a specific time that Mobile is better equipped to solve that e-commerce or traditional direct marketing. So, the question we need to ask is this ... "what problem does Mobile solve, from a commerce standpoint, that we have not previously been able to solve, and what is the sales potential associated with solving that problem?" If we can't answer that question honestly, then, of course, we have a mobile website, one that will continue to underperform expectations. Here's a story I hear all of the time. "We started our Twitter presence back in 2009. We currently have 449 followers, though we sell $60,000,000 of merchandise. We've sold $2,000 on Twitter in two years. In fact, we think we've also sold $2,000 via Facebook. We do what we're supposed to do, we listen to customers, we engage customers, we offer discounts and promotions. Nothing works." ... we have to ask ourselves a question. What percentage of our current customer base and prospect base is comprised of Traditionals, Transitionals, and Transformationals? Catalogers have, by and large, failed the Social Media experiment, and for good reason. Quite honestly, a 62 year old rural shopper isn't terribly excited about using Tweetdeck to "follow a brand" so that the shopper can take advantage of 15% off plus free shipping, a promotion that was also plastered on eight email campaigns and on the cover of two catalogs mailed this month. Catalogers, by and large, cater to Traditionals. So we have to ask ourselves ... what about Social Media so improves the shopping experience among Traditionals that Transitionals would abandon catalogs, websites, email marketing, search, and any other channel in order to instead use Social Media to initiate commerce? Be honest ... what about Social Media so improves the shopping experience among Traditionals that would cause Traditionals to abandon existing channels? This is why various channels "don't work" ... we fail to align a marketing tactic with the audience most likely to embrace the tactic. Allow me to recap a brief history of how I previously viewed the world. 1990 - 1995: This represents my time at Lands' End. I would characterize my primary field of study as "cannibalization" ... or, more appropriately, "how advertising vehicles compete with each other for customer attention". I had no idea how relevant this work would be nearly twenty years later, when the number of advertising channels seemingly approached infinity. 1996 - 2000: This represents my time at Eddie Bauer. I would characterize my primary field of study as "channel shift" ... or, more appropriately, "how customers shift behavior from traditional channels to new channels without increasing overall spend." Of course, what I learned was opposite of the message sold via trade journals and industry pundits ... customers do not spend incrementally more as they shift channels, we're simply deceived because the customers who initially shift channels are the best customers, and we choose to evaluate customer behavior in a backward-looking manner via campaigns, a methodology certain to confuse real customer behavior. 2001 - 2007: This represents my time at Nordstrom. I would characterize my primary field of study as "channel death" ... or, more appropriately, "how customers respond when you remove the catalog marketing channel from the marketing mix." Of course, what I learned was opposite of the message sold via trade journals and industry pundits ... some customers reduce their spend down to zero as predicted, some customers don't change their behavior at all, and, surprisingly, you attract a new set of customers you didn't previously consider, because you now reallocate marketing dollars to new channels. Keep this in mind as we begin to consider topics for study in 2012. 2007 - 2011: This represents my time building MineThatData from scratch. I would characterize my primary field of study as "longitudinal behavior" ... or, more appropriately, "how all measurement tools that optimize campaign performance fail miserably at optimizing annual customer profitability, causing the average $100,000,000 business to lose $1,000,000 of profit, per year, every year." You probably have a series of experiences that shaped how your career developed, right. Well, these experiences, and similar experiences you've been part of, leave us in an interesting situation heading into 2012. We've added a seemingly infinite number of marketing channels, all promising to increase spend among "today's modern, savvy customer, a customer in charge of a highly competitive marketplace". We've been told that each new channel "changes everything", rendering old channels "dead". Customers, however, have not increased annual spend at rates above inflationary levels, in spite of being offered a dazzling multi-channel experience filled with a seemingly infinite number of new channels. And you can't blame this on the economy, folks, because pre-2008, the story was essentially the same ... go analyze customer behavior from 2000 - 2011, on a longitudinal basis, to validate the hypothesis ... you'll see a dip that, when viewed over eleven years, compensates for increases prior to that, yielding flat behavior in a time of explosive channel growth. There will be MORE channels invented, in the near future. Facebook didn't exist 10 years ago. Twitter didn't exist 10 years ago, heck, back then MySpace was about to render AOL irrelevant. Google was about to emerge as a dominant force 10 years ago. Apple was about to emerge from the doldrums, not by doing more of the same, but by reinventing music. We can't even fathom what we'll be dealing with on January 1, 2017. All we know is that it will be very, very different than what we're dealing with today. Demand increases are highly correlated with two activities ... customer acquisition improvements ... and merchandise productivity improvements. Hint ... customer acquisition improvements often come after one makes merchandise productivity improvements. Hint ... customer loyalty improvements come after one makes merchandise productivity improvements. Hint ... merchandise productivity improvements mean everything, don't they? If we know that annual customer behavior doesn't fundamentally change unless merchandise productivity improves ... and if we know that a proliferation of new channels have not fundamentally changed annual customer purchase activity (new channels changed customer behavior, but not annual purchase behavior, an important distinction) ... then we know that, in 2012 and beyond, we need to shift our focus. We need to shift our focus, from channels (which will always grow and change and evolve and will not fundamentally increase annual customer purchases) to customers. And this isn't the focus on customers promoted to us over the past twenty years ... that's a campaign-based targeting strategy (i.e. who do you send this email campaign to, or who do you put a banner in front of online, or who should receive this personalized landing page, or who do you print a QR code for?). Nor is it a "customer-centric" view that the vendor community suggests we adopt so that we can purchase vendor-based products and services. No, in 2012 and beyond, we need to elevate customer understanding to a strategic level. For catalogers, this means a full understanding of the consequences of adoring what I call "Traditionals". Traditionals: Customers who generally respond to old-school marketing activities. Think 55+, rural customers. Transitionals: Customers who are in the process of leaving old-school marketing activities behind, in favor of classic online marketing tactics. There isn't a demographic profile for this customer audience, you'll see 62 year olds do this, and you'll see 26 year olds do this. Transformationals: Customers who are in the process of adopting social/mobile channels, more so from a lifestyle standpoint than a commerce standpoint. This audience does skew young, folks. While not talked about in the trade journals or pundit blogs, catalogers have knowingly embraced "Traditionals". The consequence of this decision, one initiated around 2001 when matchback algorithms seemingly demonstrated that catalogs caused online behavior, is that catalogers now have a disproportionate market share among Traditionals, and have evolved a merchandise offering that is disproportionately focused on Traditionals, and count on co-op statistical models that actively seek Traditionals. This heavy focus on Traditionals generates a feedback loop that makes marketing to Transitionals or Transformationals very, very difficult. In 2012, we must address this lust for the Traditionals marketplace, because this lust is not sustainable, long-term. Are we ready to take on this challenge? On a trip to Wal-Mart this week, I found the same item featured in three different places in the store. 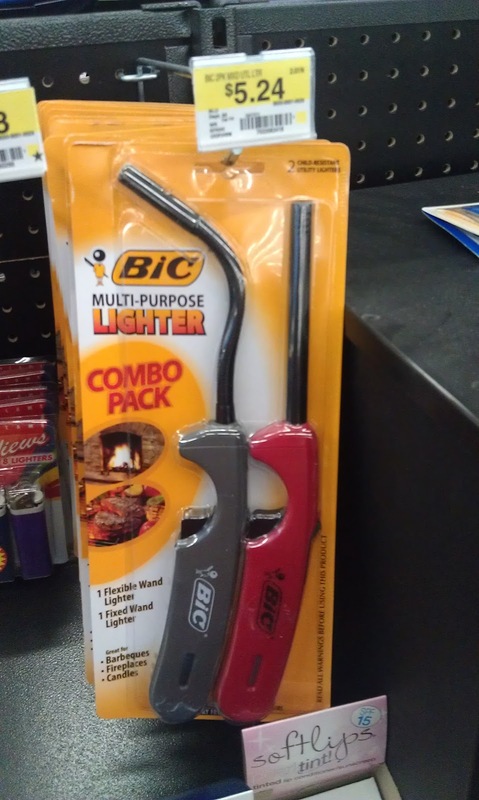 This item is not available at Wal-Mart.com. 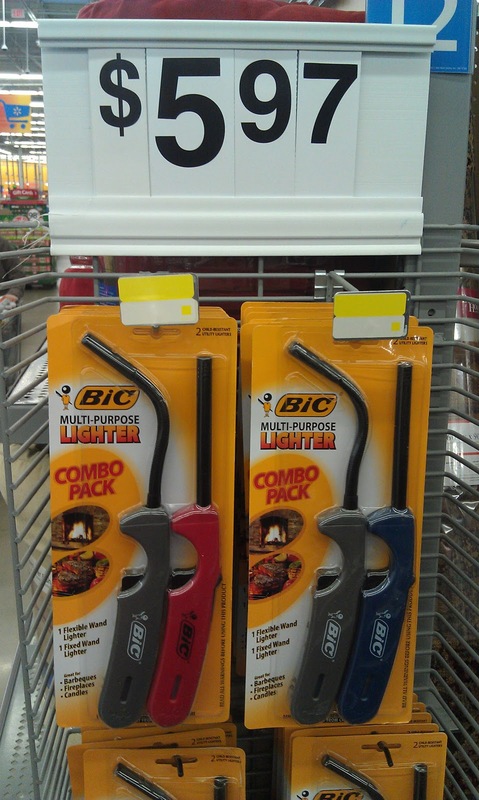 Wal-Mart clearly states that pricing will vary between the website and stores, and will vary between stores. 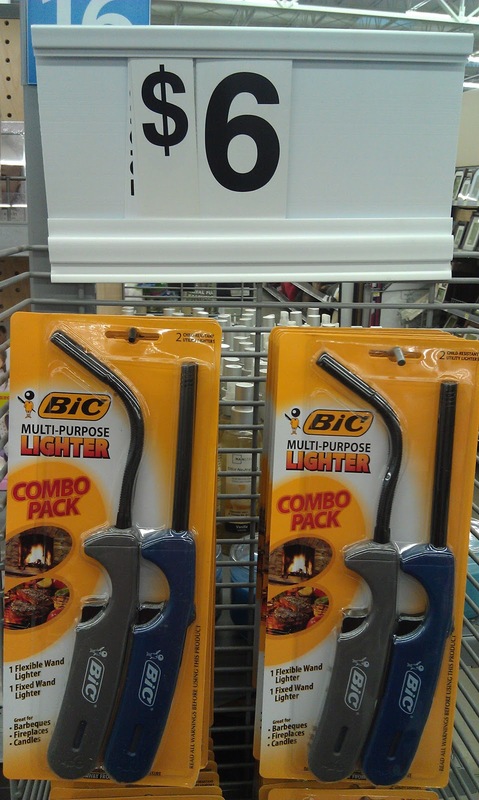 The website does not say that prices will vary on common items within the same store. Ok, you are the marketing expert, so it is time for your thoughts. What do you think of a brand executing price optimization testing with a store? Do you execute price optimization tests? What do you think of a brand not offering a comparable item online? Does this diminish the fabled "multi-channel customer experience"? We can see how this type of testing benefits a business ... what do you think of this strategy, from a customer standpoint? How would you handle the pricing changes at checkout ... do you charge the customer $6.00, $5.97, or $5.24 per the signage, or do you charge each customer $5.24, regardless where the customer purchased the item within the store. Does a company have any responsibility to communicate that it executes multivariate price testing? In a mobile/social era, how would you balance testing strategies with the fact that customers can easily identify and share your testing strategies with their "social graph"? Sometimes, we make everything way, WAY too hard, don't we? Any purchase via Mail, Phone, or Online via Catalog Matchback is considered a TRADITIONAL purchase. Any purchase via Email, Search, Affiliates, Banners, Retargeting, and other Online Marketing techniques is considered a TRANSITIONAL purchase. Any online purchase not attributed to any marketing, any Mobile purchase, and any Social purchase is considered a TRANSFORMATIONAL purchase. Weight historical purchases ... purchases 0-12 months ago = 1.00 * Demand ... purchases 13-24 months ago = 0.50 * Demand ... purchases 25-36 months ago = 0.25 * Demand ... purchases 37+ months ago = 0.125 * Demand. Multiply all historical orders by Weighted Demand. The segment (traditional, transitional, transformational) that holds the most weighted historical demand is the segment that the customer is classified in. At this point, every customer is placed into one of three segments (traditionals, transitionals, transformationals). Now, dump this segmentation outcome into your email campaign results, your web analytics platform, and your catalog matchback algorithm. Measure (or, as they say on Twitter, #measure) campaign performance against each customer segment. Be prepared to be dazzled! It's the topic nobody in catalog marketing wants to talk about. A typical catalog business is fractured. This happened to every catalog business over the past decade. The degree of fracturing, the inherent belief in catalog marketing, the preferred customer acquisition strategy, and the age of customer are different for every company. Let's explore each of the three customer files managed by a typical catalog brand. By the way, if you're an ecommerce-only brand, the three files are a bit different, and will be explored in a later post. File #1 = Tradition: This is the customer file that catalogers crave. It's a rural shopper, 55 years old or more. A typical customer in this file is one who watched "thirtysomething" on ABC in the mid 80s, a Baby Boomer who shopped catalogs in the 80s and 90s. It became a habit for this customer to shop via catalogs. This customer will shop online, but does so only because a catalog was mailed to her. This customer willingly pays $14.95 for shipping, because he has always paid $14.95 for shipping. This customer is typically acquired from a co-op. All of the rules of classic catalog marketing apply to this customer. If 70% of your customer file is made up of this customer, well, then it seems like absolutely nothing has changed over the past decade. When the print community, vendor community, or consulting community enthusiastically praise the ongoing success of catalog marketing, they are talking about this audience. In the next decade, this audience is going to get smaller, and is going to spend less as the audience moves into retirement. File #2 = Transition: Catalogers have not historically had passion for this file. Regardless how the customer was sourced, customers in transition have shifted purchase habits away from catalogs. Mind you, these customers still love your brand, in fact, they love your merchandise! These customers buy because of email campaigns. These customers purchase after conducting a search, in fact, Google is a significant driver of business success within this file. These customers want free shipping. Though catalogers match online orders back to catalogs (largely because the cataloger mails this customer 14 times a year, so, by default, the cataloger has no choice but to match orders back to a catalog), customers in Transition do not shop because of catalogs. I currently make the majority of my consulting income by recommending circulation reductions to customers in Transition. In 2012, catalogers will significantly capitalize on circulation reductions in this audience, in an effort to be more competitive in the free shipping arena. File #3 = Transformation: Catalogers have virtually ignored this side of the business. Tactically, catalogers have dipped toes in this tepid pool of water, largely without success. Some catalogers have a presence on Twitter, some catalogers have a presence on Facebook, some catalogers experiment with Mobile. For many catalogers, this is a foreign world, filled with younger customers who have significantly different shopping behaviors. When a cataloger has some success with Transformational customers, the cataloger attempts to pull the customer back into the Traditional realm by pummeling the customer with a veritable plethora of catalog offerings ... driving the Transformational customer away, causing the cataloger to believe that "new media" doesn't work, further accelerating the development of the customer file to a "Traditional" composition. F-Commerce, Mobile, Apps, Gamification, Social Commerce, the whole nine yards, they all fall into the Transformation file. Every catalog brand has a customer file split across these three sub-files ... Tradition, Transition, and Transformation. For some catalogers, customers nestle within a sub-file (Tradition), and do not change subsequent behavior. In the short term, this is fantastic, because customer behavior is predictable, allowing the cataloger to maximize productivity via simple RFM and Regression-based approaches tied to Matchback algorithms. For many catalogers, customers actively migrate from Tradition to Transition. In the short-term, this means that the cataloger is over-investing in customers, costing the cataloger copious amounts of profit. In the long-term, however, the health of the business is likely to be more robust. Few cataloger have success in the Transformation realm, largely because of demographic issues. The customer acquired via a co-op is not going to be the customer who uses the Etsy Gift Finder to shop. We're going to spend some time talking about Traditional, Transition, and Transformation based customer files, because our current and future success depend on our ability to properly segment customers into these groups, then market to the customer profitably. There it is, white, puffy, floating above us. Catalogers have more experience with the cloud than almost any other marketer. Catalogers simply didn't call it "the cloud", they called it "Abacus". Yup, you threw your most valuable asset, your customer list, up into the cloud. You did this back in 1994. Like all internet-related things, this blew a hole through the entire industry. The list industry was absolutely hailed-upon by the cloud ... remember those meetings you'd have at the old Catalog Conference, when Eddie Bauer would meet with J. Crew and there would be twelve people in the room ... only two from Eddie Bauer and J. Crew, ten people from the vendor community supporting the exchange of 0-3 month, $100+ names with a gender select of "F"? Yup, those meetings were obliterated by the cloud ... you could cut ten people out of the equation by having the cloud return 100,000 productive names to you at $0.06 each. Remember what it was like when you used to have to improve your marketing database in-house? The book of work? The nine month timeline to get one field added? Then you moved your database to the cloud ... you let one of a dozen popular database brands host the database for you. Guess you don't need the IT help on that marketing database anymore, huh? Need a new online buyer? That's up in the cloud, too ... though we call it "search", it's essentially a cloud-based service where somebody created an auction-based marketplace of mined and monetized customer sentiments. Facebook and Twitter? Cloud-based conversation services. In other words, the cataloger is nearly twenty years into a migration from in-house to cloud-based services. What is new is the awakening that comes with a cloud-based migration of services. Ever hear something like this? "I sure miss knowledge. I mean, nobody knows anything anymore. Fifteen years ago, I could ask my list expert a question, and I got a couple decades of experience embedded in the answer. Today, nobody can answer my questions. People know that the new 'affinity' model performs six percent better, but nobody can tell me who I am contacting, or why the model performs six percent better. Google is no better, organic search traffic drops by 25%, and there's nobody to turn to, nobody to explain to me why this happened. I have cheap names, and I have cheap explanations for why I got the names I got." In other words, "all magic comes with a price." We gladly accepted the magic of the cloud. We lament the price ... the lack of business intelligence provided by the cloud, the lack of control we have over the cloud. We can't expect the cloud to provide us with intelligence ... it can't do that, it's simply a cloud. We have to learn, for ourselves, that a puffy cumulus cloud is different from a towering cumulonimbus. It's a good time to start educating ourselves. I used to work for a CEO who frequented the "GROW OR DIE" phrase, at elevated decibel levels, in meetings. I once worked in a division that was growing, but was unprofitable. I authored a plan that reduced sales by 4%, but generated considerable profit. This wasn't a popular plan, of course, but when the year ended and we generated record profit, it became a very popular plan, until, of course, the plan for the next year didn't feature growth. We'd rather generate $10,000,000 at break-even than generate an additional $1,000,000 in profit without increasing annual net sales. Even though profit pays the bills, growth pays for our ego. We're competitive. We believe that if we generate an additional $10,000,000 in sales, that we hurt a competitor in the process. Here's a little secret that you probably already know ... it is really, really hard to grow. Especially when you run a business with a heritage in a channel (catalog) that is now in decline. Oh, I know, the paper industry and the vendor community and the pundit community will tell you that catalogs are an essential component of the "mix" ... they have to tell you that, or they are out of business. You're smart, you know the reality of the situation. Your team produced demographic reports indicating that your catalog-attributed customer file is getting really, really old. Businesses that grow have a customer base that holds a constant age, over time. These businesses market to a demographic profile, not to a cohort. Catalogers, by and large, market to a cohort. In the 1980s, catalogers exploded on to the scene, in large part because the Baby Boomer generation began to enter prime earning years. In the 1990s, catalogers achieved pop culture success (see Seinfeld episodes about the J. Peterman Catalog), utilizing database marketing techniques to target smaller catalogs to niche audiences. In the 2000s, technology transformed the customer experience. Instead of searching the mailbox for products, we searched the internet for products. Instead of finding out about products via a physical mailbox, we could quickly scan content via an electronic mailbox. Instead of dialing a phone to chat with a friend about merchandise, we could leverage social media via a smartphone to understand how other people perceived the merchandise we wanted to purchase. The pundits will say that this "changes everything". They will tell us we have to expand into all of these channels, and we have to be expert in all channels, if we want to grow. They'll tell us that the best way to acquire a Facebook Fan is to offer a discount. They'll tell us that the mobile-savvy customer is standing in our stores with a tablet in her hand, ready to switch from an in-store purchase to an e-commerce purchase at the swipe of a finger (ask yourself, by the way, how many times you've been in a store while a customer holds a tablet device and actively performs a comparison-shopping exercise in front of a sales associate? Yes, I realize this happens, but does it happen 2 times out of 100, or 72 times out of 100 like the punditocracy tells us?). What follows is only my opinion. I believe we cause growth to happen by selling merchandise. We must have something that the customer craves, and we must be absolutely enthusiastic about selling it. When our products are craved by the customer, and when we are enthusiastic about selling our products, then customers do the work for us (my opinion). The customer leverages social media and mobile to share passion for our products. Their passion spreads, "goes viral" as the pundits say, and this causes our business to grow. We don't create a video with the hopes of it "going viral" ... we create a video that illustrates our passion for what we are doing, that passion becomes infectious, causing customers and prospects to join us in our passion for the merchandise. In other words, by having merchandise that customers crave, and by being enthusiastic about sharing our message, we enable customers to be excited about our product ... instead of renting names/addresses from a database, we create our own prospect list using tools and techniques that are essentially free. This low-cost method of customer acquisition fuels our future growth. Of course, this only works if we have something the customer wants to buy, and if we have a message the customer wants to spread on our behalf. Without this, newer channels don't work so well, pushing us back into rented names/addresses of 58 year old customers who respond to catalogs for growth. We spent the past decade trying to grow by marketing to the same cohort we always marketed to, using tactics and channels to grow. By and large, as an industry, we didn't grow. Worse, our customer base aged significantly. In the 2010s, we're going to have to try something different if we, as an industry, want to grow. Might a zeal for our own merchandise represents a starting point? You can't avoid the commentary from the vendor community. "There is no such thing as a store ... retail is now portable." "Today's highly empowered consumer is fully in charge of the brand experience. Brands that fail to relate to this social shopper do so at their own peril." If you want to do an experiment to see if the mobile/social shopper is a reality, take your Android phone into your favorite mall-based retailer ... and take a video of the first 100 customers that enter the store. Out of 100 customers, how many use a smartphone or tablet to enjoy a fully empowered mobile/social consumer experience? Maybe this is the future ... but you're not in the future, you're required to hit sales expectations TODAY, you have to deliver the p&l for 2011. So, again, take your smartphone in to your favorite retail brand, and take a video of the first 100 customers that enter the store. Out of 100 customers, how many use a smartphone or tablet to enjoy a fully empowered mobile/social consumer experience? And I realize that the retailer may not have a mobile website or an app ... but that's irrelevant, right? We're taught that these customers are interacting via social media, and tablets and smartphones easily pull up websites so that shoppers are fully empowered. Give the experiment a try. In fact, if you give the experiment a try, I'll consider publishing your findings on this blog. Give the experiment a try. Put together a panel of 10 bright employees, under the age of 30. Give them one month to put together a one hour presentation. Topic = How We Shop. Ask each employee to list five companies that they have purchased product from that is loosely competitive to the product your company offers, in the past year. Ask each employee to describe how they found out about the company. Was there marketing involved, marketing that informed the purchase or even caused the purchase to happen? Ask each employee to list five companies that they "admire" ... these could be companies they buy from frequently, or it could be companies that they simply like. How does this company interact with the employee? Ask each employee to describe how an ideal company should "market" to the employee. Ask the employees to produce this information individually, but to create the presentation collaboratively. Pay close attention to how this team self-organizes. If you really want to have fun, choose ten employees age fifty or older. Put them through the same set of objectives. Give this audience a full hour to present their findings. Evaluate the companies chosen by each set of individuals. Evaluate the differences in marketing strategy, in marketing channels, in tactics used to build relationships with customers. After your Executive team reviews each presentation, have an honest discussion with your Executive team about the stark differences between the companies and marketing tactics outlined by each team. How does this stark difference in approach impact your company? What can be learned from each presentation? How can the findings be applied to your five year strategic plan? Give this article a read ... from Brian Solis at The Altimeter Group. Now think about what you would write as a long-standing catalog executive, if you had to describe how your business was evolving ... would a single word from the presentation apply to your business? Almost none of it would apply ... a 58 year old shopper doesn't act in the manner outlined in the article. Sure, you can find eight percent of the audience that may act that way ... but not the whole audience. And almost nothing about your paper would apply to the audience that consumes information from The Altimeter Group ... a 28 year old shopper doesn't act in a way that's congruent with how you market to your core audience, by and large. Sure, you can find eight percent of this audience that may shop via catalogs, but not the whole audience. Modern business models and traditional business models are miles apart ... miles apart in customer demographics ... miles apart in marketing strategies ... simply miles apart. You could try to bolt catalogs on to social commerce ... it could work ... but it's not likely to work. And you could try to bolt social commerce on to catalogs ... it could work ... but it's not likely to work. The pundits tell us we have to do everything, they tell us exactly what the future holds (change or die). It might be time to figure out just how many miles apart the pundits are from where you are. If the distance is too great, it'll be really hard to change, requiring a different approach to chart a course to the future. In late October, we talked about things that we learned in 2011. Without doubt, we learned that many of us are going to be forced to move to a Free Shipping model, in the near future. Oh, I can hear the moans and groans already. "We can't afford to do this." "We lose the ability to use free shipping as a promotion to goose sales." Honestly, we "can" afford to do this. We'll do this by executing two important tactics. Let's say that free shipping, no hurdle, gets you a 25% productivity bump. We'll cut marketing expense (catalog mailings), significantly, by 20%, by not mailing online-centric, social-centric, and mobile-centric customers as many catalogs. The circulation cuts will cost us a 5% top-line sales hit. For some of us, it will look like this. For some of us, we'll lose a ton of money, but the file will grow, eventually offsetting our losses. For some of us, we'll even make a little bit of money in the short term. Eventually, most businesses will shift to free shipping, eliminating the 25% sales bump. That's when things get really interesting. In the next three years, we will begin the transition. We will pay for free shipping by not mailing as many catalogs to online-centric, social-centric, and mobile-centric customers. 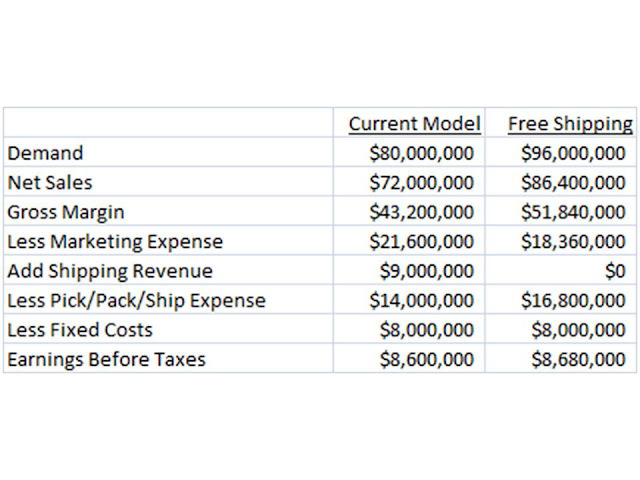 Catalog marketing will ultimately pay for free shipping. Have you had an opportunity to view this "infographic", as the kids call 'em? The graph illustrates how music spread and evolved over the course of a century. Pay close attention to what happens after 1980 ... everything accelerates, music is influenced by different continents and different genres. The pundits will tell you that this is the reason you have to be "multichannel" ... they want you to "do everything". If you don't "do everything", you won't reach your "target" customer. Then, the pundits tell you something like ... "in these challenging economic times, brands that don't relate to today's sophisticated shopper across all channels do so at their own peril". The infographic represents the kind of marketing environment we deal with. We have to figure out where we reside in the ecosystem. We don't have to do everything. In the infographic, "rock and roll" just kind of ends ... there isn't a logical connection from "rock and roll" to, say, "synth pop", is there? Nor is there a logical connection from "catalogs" to "Twitter". We're told there is a logical connection, but there isn't. All sorts of people figure out how to use Twitter to grow business. Not many companies figure out how to connect catalog marketing and Twitter. Every day that we try to chase channels, trying to "do everything", is an additional day that we failed to focus on merchandise productivity. We're better off figuring out where we reside in the ecosystem, then capitalizing on our place in the ecosystem. There's nothing wrong with growing a business on Twitter, assuming a scalable business can be grown on Twitter. There is something fundamentally wrong with assuming one can connect the past to a version of the future. Businesses in the "Life Spiral" frequently exhibit a nice diversity of old and new channels. Take social, for instance. The average catalog brand creates a Twitter presence, then offers thirty-five or forty tweets encouraging the customer to take 20% off plus free shipping. Predictably, the channel doesn't work, it is determined that "social doesn't work", and that's the end of the story. Over time, a preferred channel takes hold, and the customer ages along with the channel. Businesses climbing the "Life Spiral" experiment with new channels. They simply don't focus on the "core business". 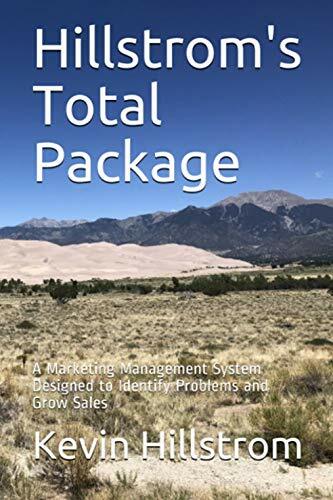 They earn merchandise productivity after seeding the business with new products and new customers, using improved profitability to experiment, to not rest on laurels. Businesses climbing the "Life Spiral" prioritize experimentation. A mobile initiative is not buried on the information technology "Book of Work" ... folks happily choose to build the mobile website, Management gladly prioritizes the new opportunity over the re-write of the COBOL-based order-entry system. Businesses climbing the "Life Spiral" do not over-think attribution. These businesses simply don't care if the mobile site fully cannibalizes e-commerce (see eBay), instead, these businesses seek to learn as much as possible, not necessarily trying to be industry leaders but instead quantifying how customers respond to new opportunities. Businesses climbing the "Life Spiral" assign a purpose to a channel, choosing to not expand into new channels because a blogger or a trade journalist write an article. A mobile initiative surrounds solving a real customer need. Social Media is often assigned to customer service, not marketing, in order to take care of genuine customer problems. Affiliate marketing programs yield customers that are assigned to outlet/clearance contact strategies, given the propensity of the customer to look for a deal. When a business climbs the "Life Spiral", clarity of channels becomes obvious. Every new channel is assigned a strategic place in the company ecosystem. Employees are not demonized if a channel fails. Sales attribution is secondary to the knowledge gained in new channels.